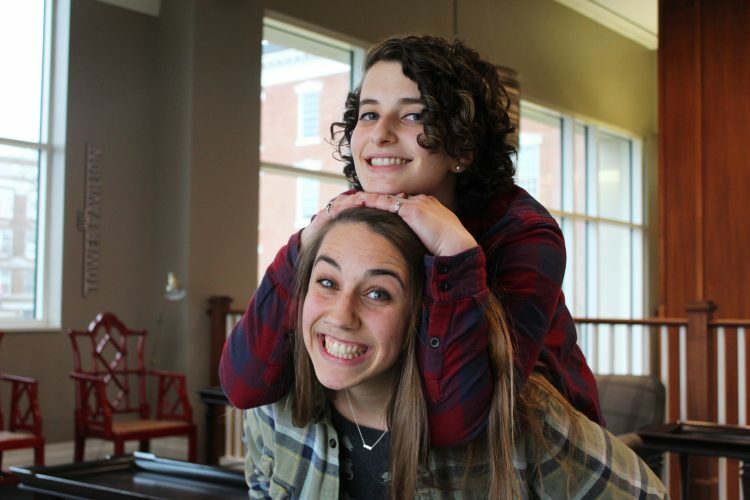 Johanna Alpert, senior biology and Applied Critical Thought and Inquiry major, and Lizzy Stevenson, senior Oxbridge Molecular Biology major, share more than just their room and field of study. They both have meat-free diets, love the film “Pride and Prejudice,” are animal lovers and have an affinity for themed socks. These are loves they developed separately. In fact, even though they had Evolution and Ecology together their first year, they barely spoke until their junior year due to Stevenson’s investment in track and cross country. Despite the delay in their friendship’s beginning, they have grown inseparable since they became roommates in the fall. “We just didn’t talk to each other, I don’t know. We didn’t, our friend groups didn’t mesh, I think, so we just missed each other,” said Alpert. “But we had two classes together, back-to-back,” said Stevenson. “We sat in the room alone together but just didn’t talk,” said Alpert. Now that they’re roomies, they’ve found lots of joint activities and interests to make up for lost time. “We watch ‘Pride and Prejudice’ at least once a month, because it’s both of our favorite movie,” said Alpert. They also share clothes and recently ordered matching socks and watches. They vibe together so well that they hope to live together again in the future. However, directly following graduation, Alpert has a summer internship at a wild bird sanctuary in Wisconsin, and Stevenson is staying in Kansas City. She is supportive of her roommate, though. This hasn’t kept her from planning their future reunion, though. 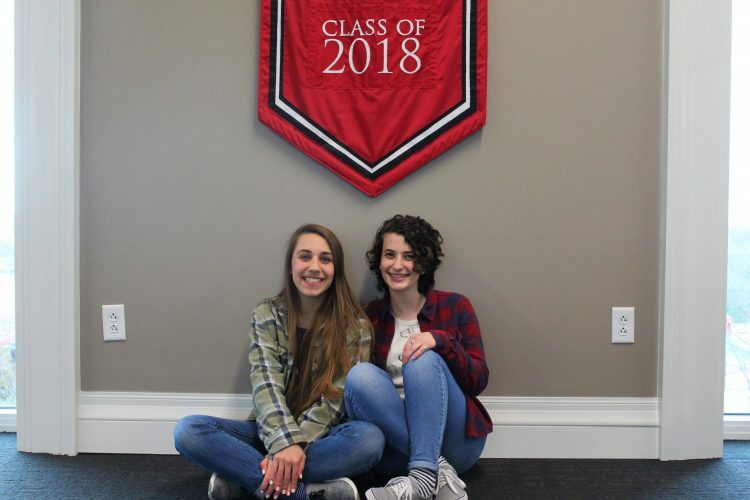 The roommates have greatly valued the relationships they’ve cultivated at William Jewell College and hope that this can be a more widespread sentiment for future students. Alpert explained her favorite thing about Jewell.